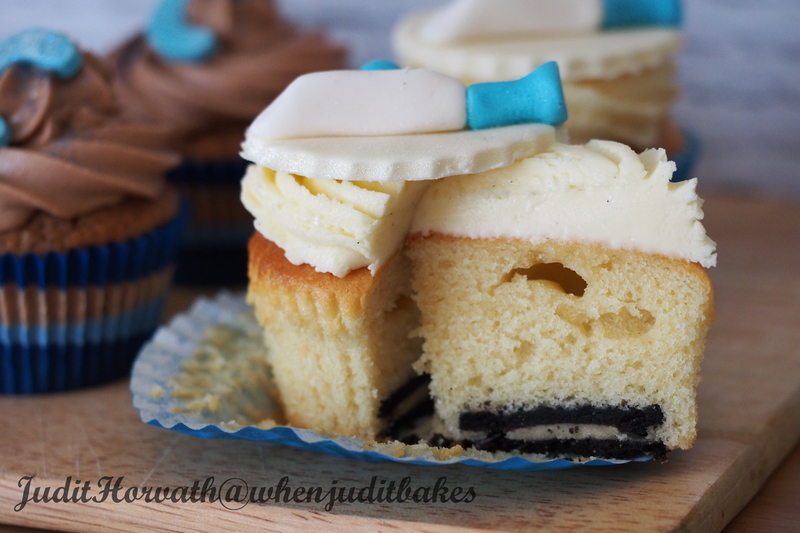 Birthday Guy’s Selection: White Chocolate Oreo Cupcake for a Cricket Lover | When Judit bakes...bread and better.. Some say that the cupcake as an idea evolved in the 19th century, and it was revolutionary because of the amount of time it saved in the kitchen. There was a shift from weighing out ingredients when baking to measuring out ingredients. According to the Food Timeline Web, food historians have yet to pinpoint exactly where the name of the cupcake originated. There are two theories: firstly, some states that the cakes were originally cooked in cups and secondly, others think the ingredients used to make the cupcakes were measured out by the cup. 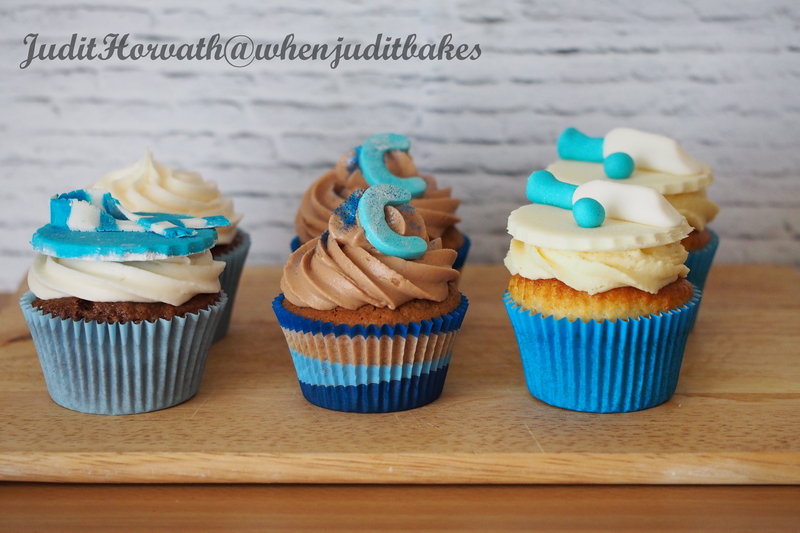 In the beginning, cupcakes were sometimes called “number” cakes, because they were easy to remember by the measurements of ingredients it took to create them: one cup of butter, two cups of sugar, three cups of flour, four eggs, one cup of milk, and one spoonful of baking soda. 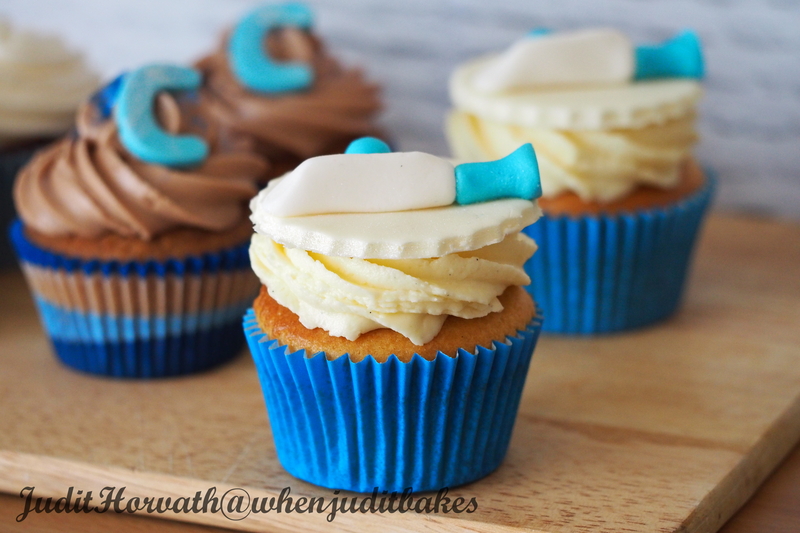 Clearly, I like to believe that my cupcakes have by far expanded to a wide variety of ingredients, measurements, shapes, and decorations – but this was one of the first recipes for making what we know today as cupcakes. Preheat oven to 160°C.Line 2 x 12 – hole muffin trays with paper or foil cases. Place butter, chocolate, yoghurt and sugar in a large saucepan over low heat. Heat, stirring, for 4-5 minutes until melted and combined. Cool for 10 minutes. Add eggs and vanilla essence. Mix to combine. Sift flours together into a separate large bowl. Add ¼ of the chocolate mixture and stir until smooth. Continue to add chocolate mixture in batches, stirring to combine. Spoon mixture into cases. Bake for 25-30 minutes or until cakes are golden and spring back lightly when touched. Cool for 5 minutes in trays. Transfer to wire racks to cool completely. Using an electric mixer, beat butter with sugar in a mixing bowl for 5 minutes or until pale and fluffy. Stir in melted chocolate until smooth. 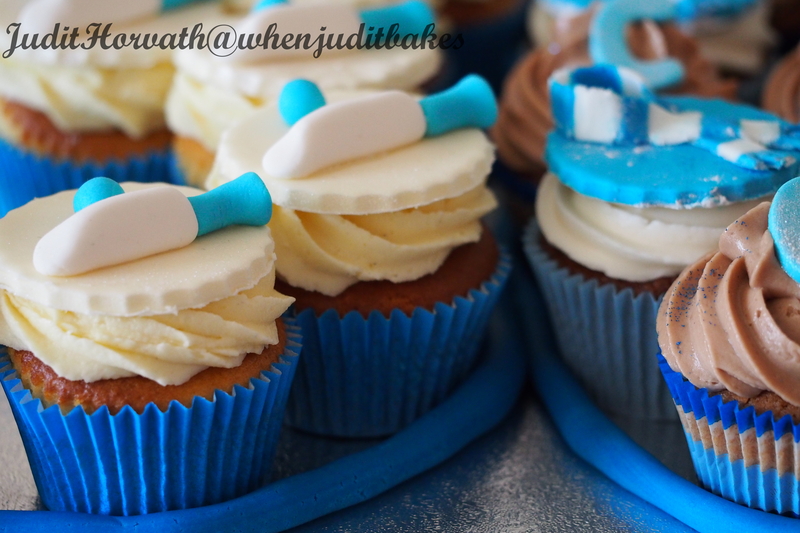 This entry was posted in Baked treats, Cakes, Cupcakes, Decoration of bakes, Sweet Bakes and tagged caster sugar, dessert, food, natural yoghurt. Bookmark the permalink. Looking for ahead to reading extra within you in a while!? I�m usually to blogging and i actually respect your posts. Thanks a lot for visiting, please keep reading!